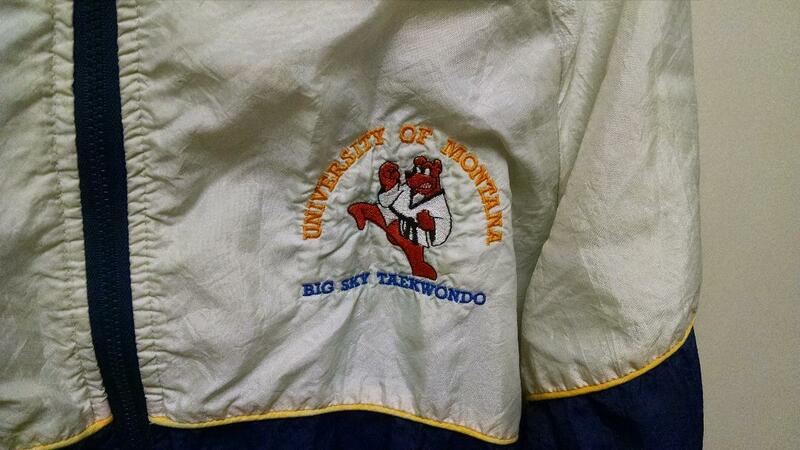 Master White was a team member and coach for the University of Montana “Big Sky ” Collegiate Taekwondo program. Master White’s journey in Taekwondo began in 1987. His father enrolled him into his first Taekwondo school, American Taekwondo Centers, under the instruction of Monte L. Monroe. Little did Master White know, but soon his world would be changing. 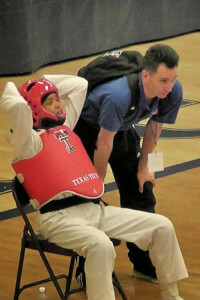 Monte Monroe was a respected international referee. 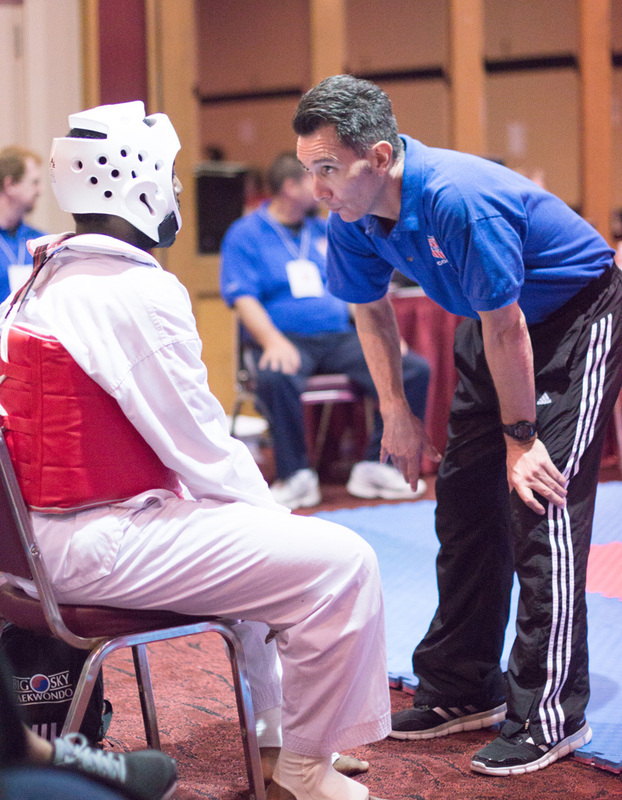 When Taekwondo was first introduced into the Olypmic Games, as a demonstration sport in 1988, Monte Monroe had the honor of being chosen as one of the Olympic referees. Master White was already competing, at the junior level, by this time and had won a State and National title. After his teacher returned from the Olympic games Master White knew he wanted to focus his training on competition training. Master White owes many thanks and gratitude to Monte Monroe for shaping his future in Taekwondo. 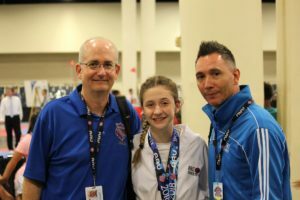 Master White continued competing and continued winning at the state and National level winning three Jr. Olympic Championships in 1987, 1988 and 1989. 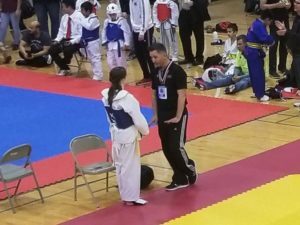 He was invited to train at the US Olympic Training Center in Colorado Springs, Co., who was hosting a summer training camp. 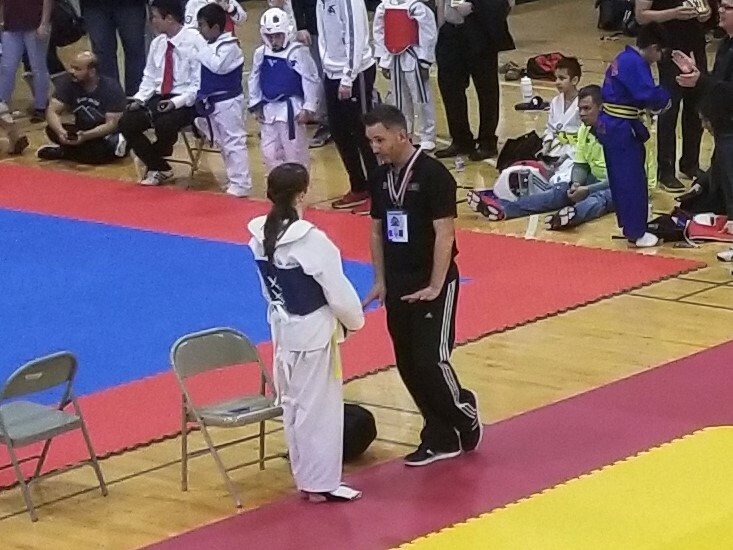 He was in awe and excited to have the opportunity to train with Sang Lee, former US National and Olympic Team Coach and all the US Team athletes. Shortly after, Master White was encouraged, by Dr. Timothy Browne, former trainer and MD. for the US National Taekwondo Team, to attend the University of Montana and train with the collegiate Taekwondo program. 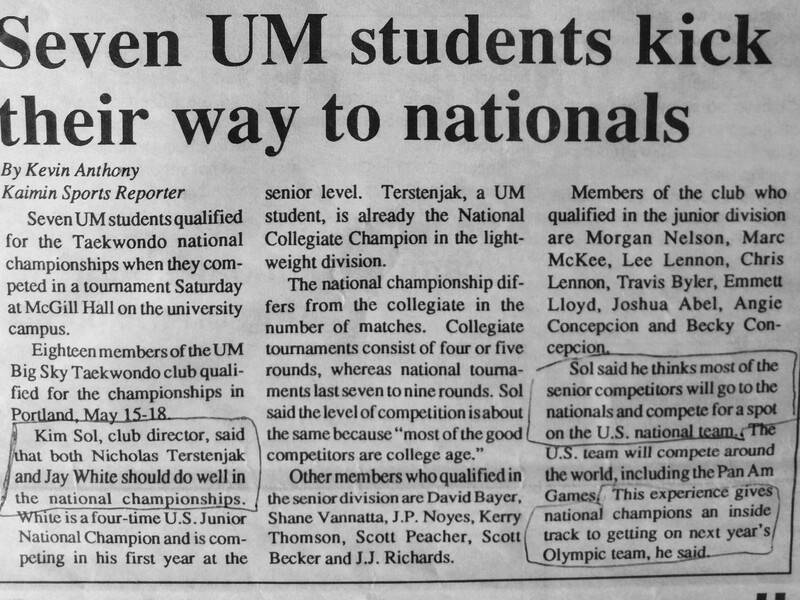 The “U of M” Big Sky Taekwondo program had a history of producing more national champions and US team members than any other program in the nation. This decision was truly life changing. Life changing because of the lifelong friendships made; and of course, the dynamic training. 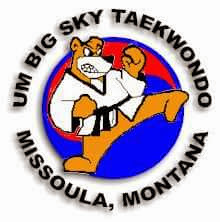 The University of Montana Taekwondo program was founded by 1) Dr. Ken Min (who later went on to accept a position at the UC Berkley Program). 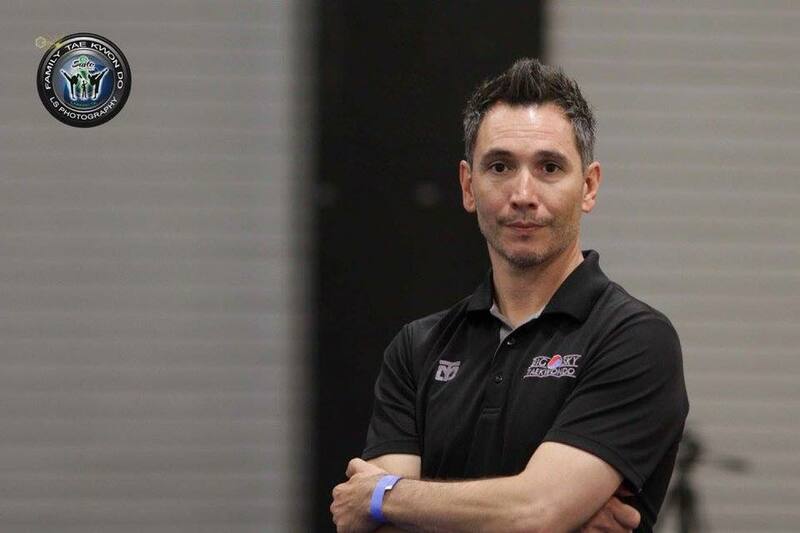 2) President of the club was Jay Warwick (1988 Olympic Bronze Medalist and US team Captain). 3) Technical Director, Bong Kwon Park (1988 Olympic Gold Medalist and South Korea National Team member). 4) Senior Chief Instructor, Steven Capener (1987 PanAmerican Gold Medalist and US Team Member. 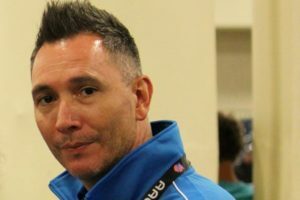 Master Capener moved to Korea, where he still resides, and has contributed tremendously to bettering the sport of Taekwondo. 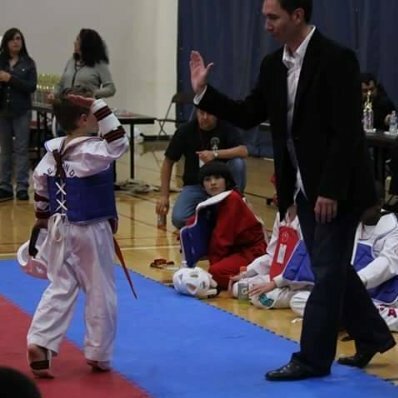 Master Capener worked for the Kukkiwon and the World Taekwondo Federation) and 5) Chief Instructor Kim Sol. 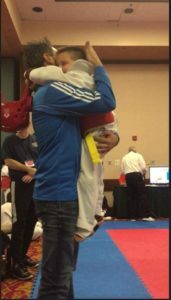 Master White looked to Kim Sol as a “father figure”. 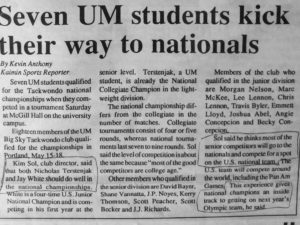 There were many elite athletes who had trained and coached for the U of M collegiate team. The opportunity to train with Bong Kwon Park is something Master White is most proud of. However, there are two people that Master White is truly thankful for during his time training there. They shaped who he would become as a teacher and coach. 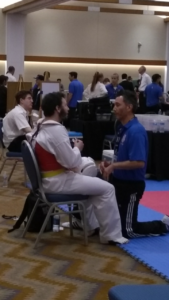 Nickolas Terstenjak and Steve Rosbarsky were Master White’s sparring and training partners. To this day, Master White is thankful to them for taking him under their wings as the “new guy from Texas”. 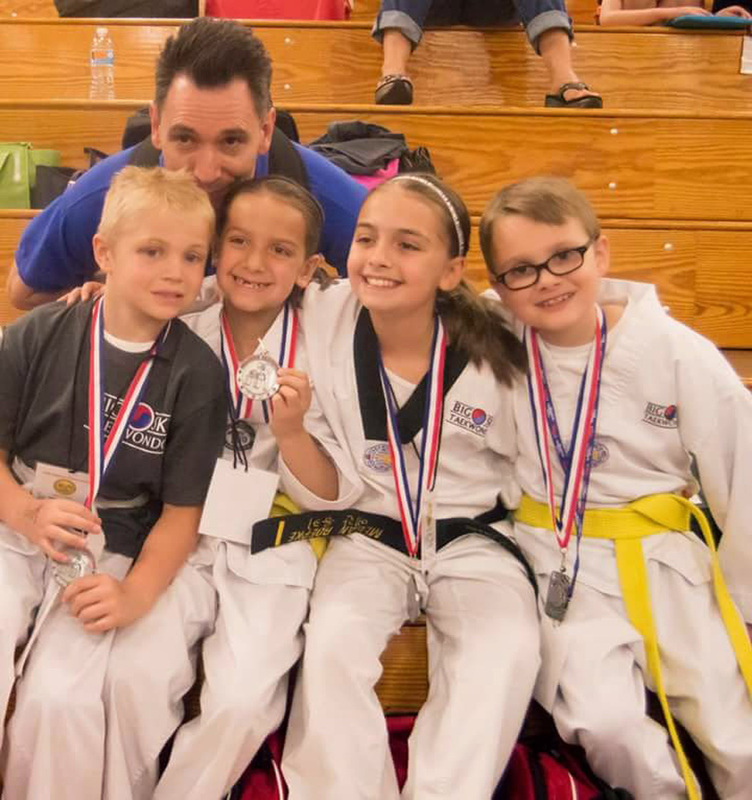 Although Master White’s competition career was short, due to injuries and life circumstances, he can most definitely say he experienced an incredible life and met some truly amazing people and friends, that he would not have discovered otherwise, if it were not for his love for Taekwondo.